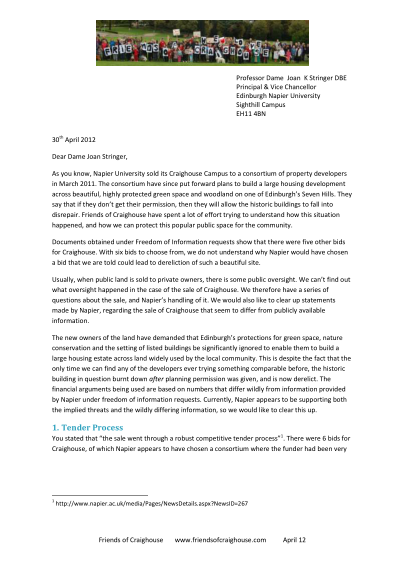 Two weeks ago we sent a letter to Dame Joan Stringer of Napier University outlining 8 pages of detailed factually-based researched questions about the sale of Craighouse campus and the exact involvement of the university in The Craighouse Partership’s proposals to build new build development over some of the most beautiful, loved and protected parts of this historic green site on Edinburgh’s seventh hill. Yesterday, Edinburgh Napier University issued a press release to the newspapers responding to the letter which you can read here. This lead to two articles appearing in the Scotsman: this longer piece and a shorter one and another in the Evening news. Dame Joan’s response was disappointing. More than that, it was needlessly antagonistic – accusing a community campaign with a petition of over 5000 local signatures of being an “emotive disinformation campaign” trying to discredit the university. Disinformation means the intentional spreading of untrue information. This is a very serious charge to level against us. All the more so as Dame Joan fails to point out what information is untrue or that we know to be untrue. In her reply to us, she further accuses our letter of making “unsubstantiated allegations”. You may read our letter here. It is a chunky read and that is precisely because it is so researched and is thorough in its quoted sources and substantiates its questions. Where is the substantiation for Dame Joan’s allegations against us? (Indeed, where is the substantiation for much of what Napier has issued about this development – from their claims about LA&P to dereliction threats?) What information have we released that is false? And what allegations have we made that are unsubstantiated? We have asked straightforward questions, pointed out discrepancies between presentation and fact and offered opportunity for clarification or correction. Unfortunately Dame Joan’s response is to ignore this and issue accusations with no supporting evidence, facts, examples or corrections being offered. It seems to be a case of simple name-calling. Indeed, for someone who talks keenly about substantiation, Dame Joan Stringer seems to rely rather a lot on non-attributed quotes in her attack. Admitting that Napier still have money to be made from the development, Dame Joan claims this is in the region of £1.5million – disputing that Napier will make a (quotes) “killing” or “anywhere near the millions of pounds being quoted by certain individuals”. Where were these things quoted? And what individuals said this? She also said that “certain individuals” appear to be attempting to “distort the facts”. Which certain individuals is she talking about and what “facts” have been distorted? She talks of putting out the “true facts” – (as opposed to the other kind? )— and yet follows this up by ignoring the eight pages of questions put to her. As another of our members stated, we would be delighted if Napier were to release the “true facts”. But where have they done this? Not on their website. Not in the community liaison forum (which they did not attend). Not in the exhibitions (where they were not represented). Not in answers to our letters and not by their heavy redaction of information released under FOI requests. All in all, this makes for a rather unimpressive statement about a hugely controversial issue that is surely worth a little more of the Principal’s time and attention. 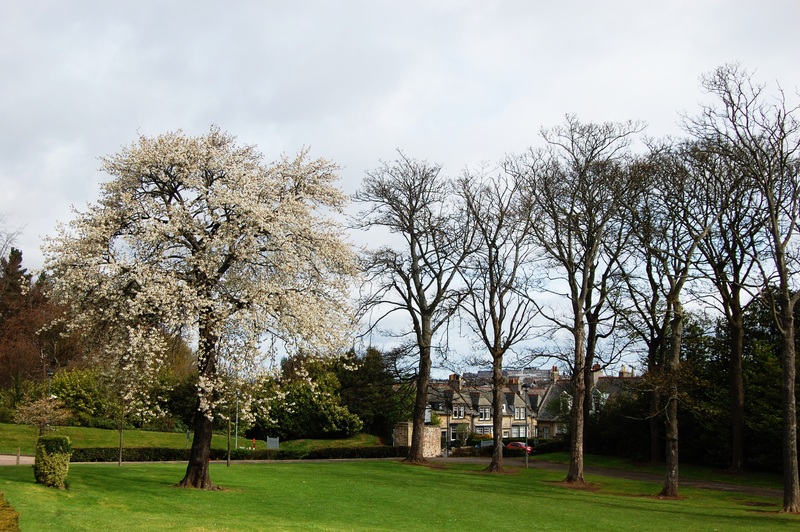 It seems that Napier wishes to smear a local campaign whilst not answering the key questions about this highly controversial development and how Napier became part of a Consortium seeking to build across highly protected green space on Edinburgh’s seventh hill. We will be replying to her letter and this statement in due course.